The Congress alleged an organised attempt by the BJP to try and subvert the mandate of the people and urged the poll panel to take congnisance of these extremely alarming incidents. 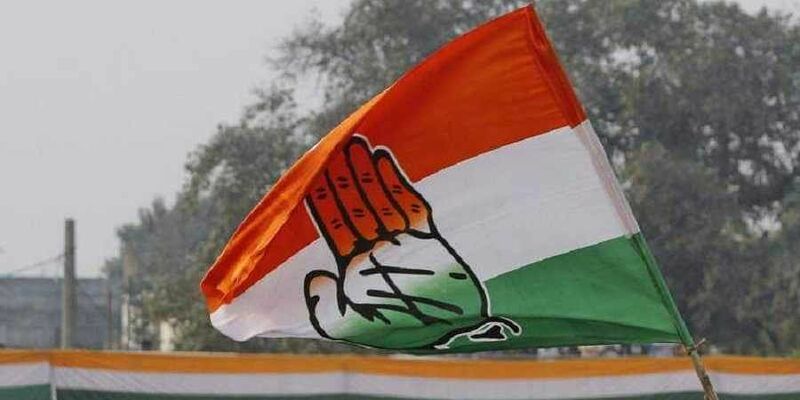 NEW DELHI: The Congress, which has been crying foul over fake voter lists in poll-going states, on Saturday alleged that the Bharatiya Janata Party (BJP) was tampering with Electronic Voting Machines in Chhattisgarh and Madhya Pradesh (MP) fearing its impending defeat. Chhattisgarh witnessed two-phased elections on November 12 and 20 and MP on November 28. The results would be out on December 11 after Rajasthan votes on December 7. “The BJP is nervous fearing its impending defeat in Chhattisgarh and Madhya Pradesh and is therefore playing with the people’s mandate,” Congress spokesperson Manish Tewari said hours after a party delegation petitioned the Election Commission (EC) over the issue. The Grand Old Party’s apprehension was not new. Before the polls, the opposition party had urged the election panel to take note of lakhs of fake voters it had identified in BJP-ruled Chhattisgarh, MP and Rajasthan. Sources said two incidents, an unmarked bus full of EVMs found in MP home minister’s constituency 48 hours after polling got over and EVMs found in hotel rooms, alerted the party managers, who decided to take the issue to the EC’s door. Congress MP Vivek Tankha claimed there was no electricity in a strong room in Bhopal for over an hour during which the CCTV cameras had also stopped functioning. On Friday, MP Congress chief Kamal Nath had urged party workers to keep an eye on the strong rooms while All India Congress Committee (AICC) in-charge of Chhattisgarh, PL Punia urged state polling officials to follow more transparent practices on the crucial counting day. “District Collectors have been entering the strongrooms where EVMs are stored, carrying their mobile phones with them, which is not allowed,” said Punia, adding that he had urged the local election officials to tabulate results round-wise and make them available to the respective party candidates. Suspicious party insiders said complaints of faulty EVMs were being reported more from the areas where the Congress had done better, indicating their rivals were up to something fishy. Congress is a bad loser. People are tired of dramas of Congress and AAP.